Well C&K readers, it’s officially fall. I have to admit, I am enjoying these brisk mornings and cooler breezes. And, like most foodies, I am eager to start making fall recipes! With all of this pumpkin hype (if you don’t know what I mean, head to your nearest Starbucks or Trader Joe’s), you’re probably expecting a decadent pumpkin recipe. And while I’ve already bought cans of pumpkin puree, pumpkin butter, and even pumpkin waffles, I wanted to start with something a bit less predictable, but just as amazing: Warm and flavorful lentils. Lentils are one of those foods that can be easily be overlooked. Yes, we all love lentil soup, but that seems time consuming, right? Did you know that these protein-packed little guys can be whipped up in a jiffy for a quick weeknight dish, with just a handful of simple ingredients? Whether it’s your main meal or a side dish, you will be pleasantly surprised by how flavorful and filling this is! Let me know what you think. 1 cup red lentils *I got mine from Eastern Market! 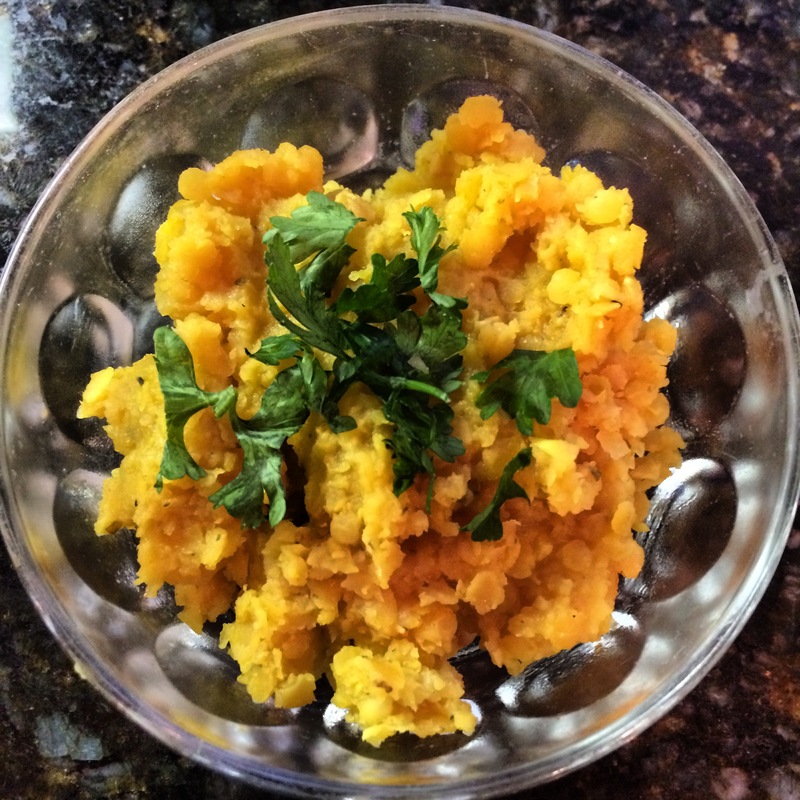 1 tbsp tumeric (this is what makes the lentils yellow)! 1. Measure out lentils and rinse with water. Drain. 2. In a pot, heat olive oil and add garlic. Sautee until lightly browned. 3. Add lentils, and stir for a few minutes. Add turmeric, marjoram, salt, and pepper. 4. Pour in broth and wine, and bring to a boil. Then, reduce heat and simmer for about 12 minutes, until liquid is absorbed. Fun Foodie Fact: Did you know that turmeric was used frequently in traditional medicine as a remedy for stomach and liver problems, and all kinds of aches and pains? This is because it is high in circumin, a substance that has antioxidant and anti-inflammatory components. (Source: http://authoritynutrition.com/top-10-evidence-based-health-benefits-of-turmeric/).